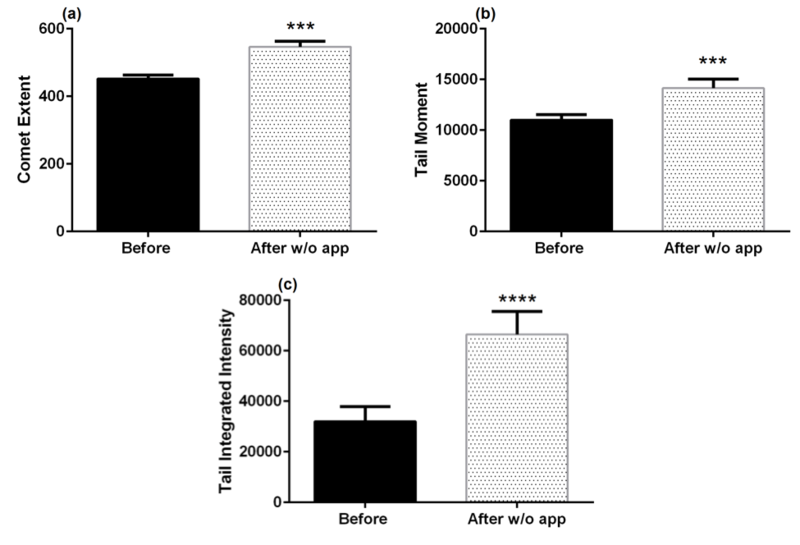 Protection Of DNA Damage Induced by Cell Phone Radiation In Human Hair Follicle Cells. 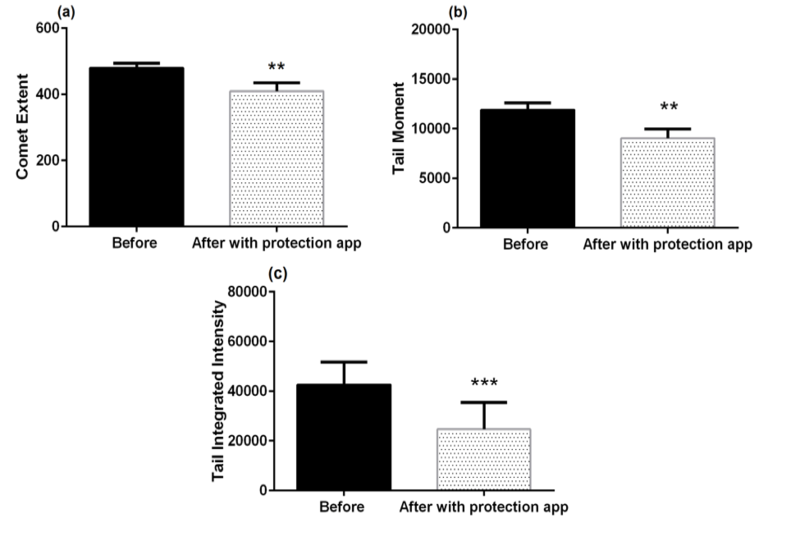 As Promised, below is one of N8 State’s recent studies showing DNA damage in human hair follicles cells, and the complete protection with significant repair to human DNA using the N8 State Software app enabled. This study was conducted under the authority of Dr. Henery Lai and Dr. N.P. Singh. At N8, we believe in the integrity of scientific research and we work hard to work with the best of the best scientist globally known in their field of testing to accomplish true verifiable proof, while having NO say or control what so ever on the study! This DNA study is a proud example of what our technology can do, and a proud opportunity to work with the best of the best scientists globally known for decades on their accomplishments in DNA and Electromagnetic frequency / Radio Frequency / non-ionizing Radiation research and biological influence. Unfortunately this DNA study was not able to get published due to very unfortunate life circumstances, being why we are posting it now as the manuscript has nobody able to submit it to a reputable scientific journal. We hope you enjoy the truth!! !